The Speedtest® award from Ookla® goes to Jazz, Pakistan’s leading digital communications company. 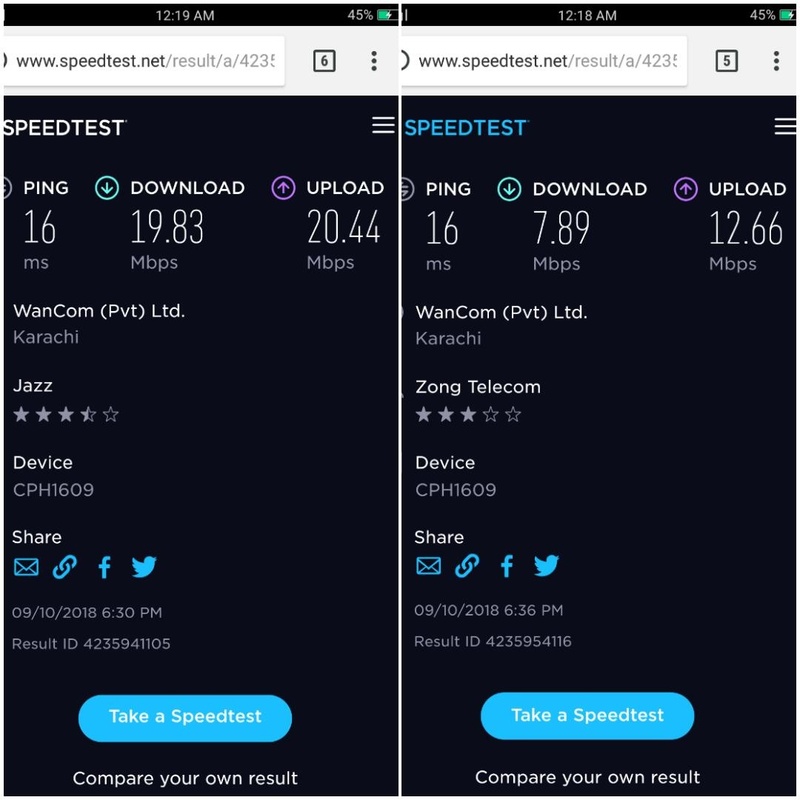 Ookla, an independent global leader in internet testing analyzed tests from a large sample of genuine mobile users in Pakistan, and found Jazz to be significantly ahead of its competitor telecom networks. Jazz is the country’s fastest mobile network. This is significant because not only is Jazz the largest operator of the country, but also has the largest mobile internet user base of over 20 million customers. Now, as Pakistan’s fastest data network provider, Jazz consistently looks to offer subscribers the best online experience. “With millions of tests taken using Speedtest every day, Ookla has developed a robust and comprehensive view of worldwide internet performance. It is our pleasure to recognize Jazz as the fastest data network in Pakistan based on our rigorous analysis. This award is a testament to the Telco’s exceptional performance, as experienced by their own customers during Q1 and Q2,” said Jamie Steven, Executive Vice President of Ookla. The analysis by Ookla is based on an analysis of over 700,000 user-initiated tests carried out nationwide. The findings recorded from mobile tests with the Speedtest® app during the first half of 2018 resulted in Jazz achieving a Speed ScoreTM of 17.03, whereas the average score for other competing networks was 9.32. Jazz lives up to subscribers’ demands with an ambition to roll-out the latest services and products, and a fast, reliable data network spanning the length and breadth of the country are reasons why the mobile operator is the network of choice for over 55 million subscribers and has the highest number of mobile internet users at over 20 million customers. & ” Super ” does not belong to Any International Market. Based on my experience Jazz has worst experience in Karachi central specially. I never suggest people to go with Jazz 4G. Seems like a paid award.. Zong 4G is the fastest in Pakistan.. Though i am a jazz 4g user but it is not the fastest one for sure. it was fastest but not now. Zong is better than jazz. I use both the sims. Ookla also offered Zong that if they pay an amount to ookla (a few millions) then Zong can use ooklas name to brand there internet as fastest. But Zong being a chinese kanjoos company, refused to pay haha. But it looks like Jazz made a deal with Ookla. Good move for their internet branding. because we don’t want to see our brand go down, we make assumptions and strange ideas. plus this stupid thing which requires to believe everything is paid or bribed or purchased. Brother there is a concept called bandwidth distribution, currently Jazz has less number of 4G users than ZONG. so result is as per expectations. I’m a regular Jazz user. On Average I get 40 Megabits per second which is by an unprecedented margin, the highest I ever got by any of other operators.